The Crowne Plaza in Nottingham has recently benefitted from an extensive make-over. The hotel has had all of its 210 bedrooms refurbished creating spaces that ensure guests experience the ultimate in wellness and productivity as well as a revamp of the ground floor bar, restaurant and reception lounge areas. The refurbishment has helped to enhance the hotel’s offering to its customers, so along with it’s easy to reach location and excellent meeting and conference facilities the hotel now offers the whole package. The Crowne Plaza brand focuses on connectivity, wellness and business needs to ensure that its meets the demands of its customers. The health and wellbeing of guests also plays a big role and the hotel’s new ‘fast and fresh’ menu available, as well as ‘Energy Stations’ which include local running, walking and cycling routes to help guests maintain their fitness routines. 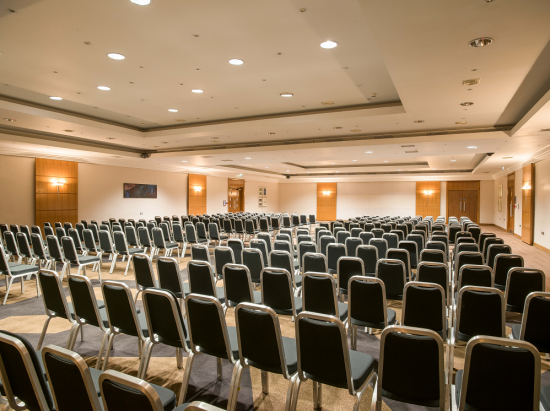 For business, the hotel is in a perfect location set in the heart of Nottingham city centre and has excellent meeting and conference facilities including 17 meeting and event rooms which can hold up to 400 people. Each of the spaces are flexible and can be easily adapted to whatever the meeting or event dictates. Working with this hotel and the team makes me proud. Dedication and putting the customers first are the key to its success.